Finally, the lens long anticipated and awaited for the Fuji X mount system, the XF 23mm f1.4 R lens is finally here – the hallowed focal length of 35mm, a common and highly popular moderate wide angle focal length is now available with this lens on any X-Mount camera (currently the X-Pro1, X-E1 and X-M1). When Fujifilm launched the X-system with the X-Pro1, I was disappointed they did not include any lenses with an equivalent focal length of 35mm in its initial launch, opting instead to go with a 28mm, 50mm and 90mm equivalent set of lenses (the 18, 35 and 60mm XF lenses), though admittedly the 28, 50 and 90 combination is also a very widely popular set of focal lengths. 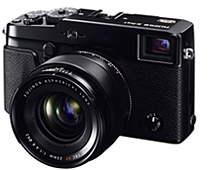 I can only assume Fuji wants to sell the X100 still, so to protect sales, the 35mm focal length was left to the X100, and later, the X100S. – Lens distortion has been reduced to the absolute minimum using only optical rather than digital correction, thereby delivering the highest possible picture quality. This means the lens itself has an optical design that is purer and follows traditional optical design principles of getting it right in the lens – instead of some sloppy modern lens designs (I’m looking at you, Olympus and Panasonic lenses) which depend on software-based in-camera lens correction or worse, in-house raw converter lens correction. Score one for this new Fuji! – The rounded seven-blade diaphragm ensures smooth bokeh even when shooting portraits or product shots at a medium aperture to maintain reasonable depth-of-field. This means bokeh is probably going to be good! – All lens elements are treated with Fujifilm’s multilayer HT-EBC (High Transmittance Electron Beam Coating) which delivers enhanced durability and ensures an even spread of light across the sensor. Similar to Nikon’s branding of their nano-crystal coat and Canon’s sub-wavelength structure coating, Fujifilm has caught on and brand its new coating with some fancy marketing name designed to induce a level of awe. 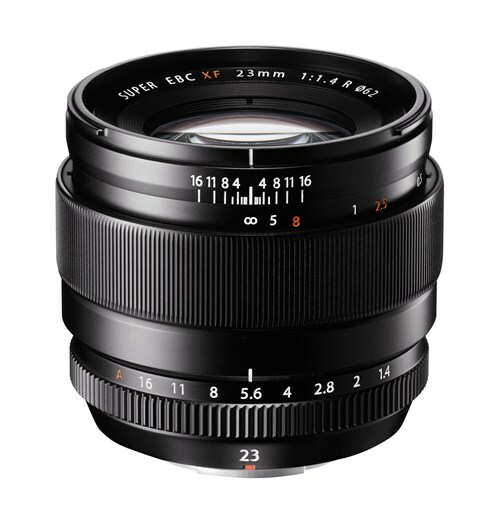 – The FUJINON XF23mmF1.4 R features a camera-to-subject distance indicator and a depth-of-field scale on the barrel. Both are useful when manually pre-focusing to capture a fast moving subject, or minimize the shutter lag to capture a fleeting moment. Score another one for this new Fuji XF lens – a real depth of field scale and an actual subject to distance scale allows quick zone / hyper focusing without looking through the viewfinder or at the LCD, and is a great asset to working on the streets. One quick glance down at the camera and one twist of the lens barrel is enough to achieve the desired zone of focus without even bringing the camera to the eye. This lens is announced at a time when I’m contemplating an X-Pro1 to complement my Leica M9 as a medium telephoto solution using M mount lenses. If Fujifilm keeps getting things right such as this lens, I’m going to have to build a secondary system based on the X-mount!